There is no better way to explore and enjoy the colors, flavors and aromas of Spring than by following the experts of a territory: the locals! For us at Italian Special Occasions DMC, the locals are a constant source of inspiration in the creation of authentic activities and in discovering unique folk festivals. In today’s post, we want to share some of that insider’s knowledge: let’s uncover the most amazing traditional events in the month of April, in gems that are located off the beaten track. Healthy fried food? Yes, at Fritto Misto! Fritto Misto is a foodie festival that launched the concept of “street food” long before it became trendy. It prides itself for “restoring the dignity of fried food, which has been systematically banned by health fanatics”. Whether you are a fan of frittura or not, you will fall in love with this event that takes place in the historic center of Ascoli Piceno in the Marche region. Where else can you taste Modena’s fried gnocchi and Neapolitan fried pizza, followed by some Japanese tempura, Portuguese bacalhau and Dutch bitterballen? In fact, at Fritto Misto you find not only Italian delicacies, such as panzerotti, arancini, Sicilian cannoli and carciofi romaneschi, but also international delicacies, as well as quality wines and cooking oils. But the absolute protagonist is the Oliva Ascolana, or local fried stuffed olives that have been awarded the DOP label (Protected Designation of Origin). Among the numerous food stands where you can taste dishes, wines and olive oils, and learn about their origins and recipes – there are also cooking laboratories for children, who get to create and stuff their own olives! As its name suggests, the “Once Upon A Time Committee” tries to preserve ancient traditions. 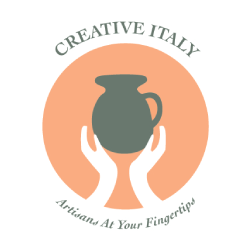 On a spring weekend in mid-April, it will do just that by organizing a fun event that involves all of your senses in Marcellina, 40 km away from Rome. The small town will host a miscellaneous event that includes the Wild Asparagus Festival, the Organetto Fair and the Arrosticini & Beer Fest! The wild asparagus grows in the woods surrounding Marcellina, and locals cook it in different ways, so make sure to try the various dishes and to get inspired by how much you can do with one single gift of Earth. If you like meat, then you cannot miss the Arrosticini, skewers with mutton meat cooked on a brazier. This dish is typically from the region of Abruzzo, whose border is only 40 km away from Marcellina. The Organetto is the popular name for the diatonic button accordion, used mainly for playing traditional folk music. Maestro Stefano Mosetti is at the head of the regional exhibition of this particular instrument, and you will surely have the chance to dance to some contagious tunes! The “Festival of Ancient Taverns” is organized by the Institute of Environment and Agriculture of Pozzuoli, in the province of Naples. On this occasion, ancient taverns are set up inside the institute’s archaeologic park along the historic Via Domiziana. More than 300 people dress up in costumes of the 1700s, and celebrate the Neapolitan culinary heritage by cooking old recipes, selling local products, and dancing to popular music. A truly unique setting for an authentic reinterpretation of the past! Located in the Sicilian province of Messina, the town of Montalbano Elicona is mainly known for the castle built in 1233 by the Emperor Frederic II, the medieval architecture of its streets and the megaliths of Argimusco. To celebrate its history, the medieval center hosts a joyous spring party during which ancient trades and historic events are re-enacted. Among the highlights is the parade of Vinciguerra D’Aragona’s army on horses, and the reenactment of the capture and liberation of a local hero, Gian Guarino. The event also includes a hurdle race and a jousting tournament. And, needless to say, lots of food stands where you can taste local seasonal delicacies!